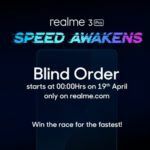 With the launch of the Realme 3 (review), a new bar has been set for phone makers hoping to remain relevant in the entry-level price bracket. But as it stands, there are quite a few existing offerings from other brands the Realme phone competes with. 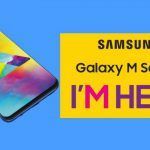 On one side, we have the Samsung Galaxy M10 that has been quite popular ever since it came out earlier this year. On the other, we have the Asus Zenfone Max M2 (review) that seems to have had its price slashed in order to remain competitive. Let’s compare these three phones together and see how much of an impact the new smartphone has made at this end of the market. The Realme 3 starts off at INR 8,999 for its base variant with a 3GB RAM + 32GB storage setup. Another model with a 4GB RAM + 64GB storage setup costs INR 10,999. 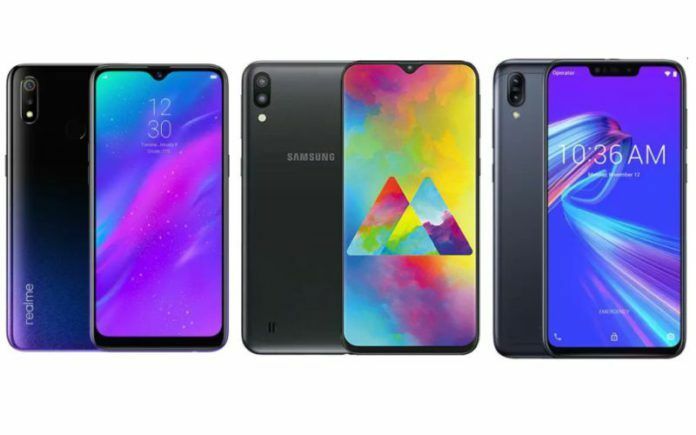 The Galaxy M10 starts off a bit cheaper at INR 7,990, but that is for its 2GB RAM + 16GB storage model. There is also an INR 8,990 model that offers 3GB of RAM with 32GB storage. 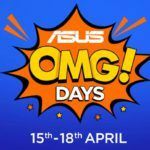 The Zenfone Max M2 is now listed at INR 1500 less than its original price. Its 3GB RAM + 32GB storage model costs INR 8,499, while its 4GB RAM + 64GB storage is priced at INR 10,499. When it comes to design, the Realme 3 undoubtedly has the upper hand with its gradient rear panel finish. Furthermore, it is the only phone here to make use of Gorilla Glass 3 over its display. 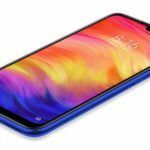 Even though the Zenfone Max M2’s display notch is much wider than the Realme 3’s waterdrop and M10’s Infinity-V notch, it takes the second spot as it is the only phone other than the Realme 3 to offer a fingerprint sensor. All three phones in this comparison offer close to 6.2-inch screens with HD+ resolutions and 19:9 aspect ratios. The only difference here is with the M10 which makes use of a TFT panel that is noticeably dimmer than the other two phones. The cameras on each of these phones have separate strengths and weaknesses, making it difficult to pick out a clear winner. All three are capable of decent photography in the day, and falter a bit when ambient light goes down. The Realme 3 comes with a 13MP primary camera paired with a 2MP depth sensor. Its primary strength here is with its Chroma Boost and Nightscape modes that are capable of noticeably enhancing image quality. Another positive of this phone is that is has a 13MP selfie shooter which is the largest in this comparison. The Galaxy M10 makes use of a different approach where its 1MP primary sensor is paired with a 5MP wide-angle camera. Its selfie camera, however, is the smallest here at a 5MP resolution. Just like the Realme 3, the Max M2 also offers a 13MP + 2MP camera rear camera setup. However, its selfie camera is smaller at 8MP. Then again, this is the only phone here capable of 4K 30fps video recording, while the other can only go as high as 1080p 30fps. The Realme 3 is the most powerful phone here with its Helio P70 chipset that offers a 2.1GHz octa-core CPU. The Max M2 is next with its Snapdragon 632 chipset that offers a 1.8GHz octa-core CPU. The M10 comes last because of its octa-core Exynos 7870 chipset that clocks as high as 1.6GHz. The Realme 3 is also the only handset to ship with Android 9.0 Pie, while the other two phones come with Android 8.1 Oreo by default. The overall battery life of the Realme 3 and Zenfone Max M2 should be comparable considering the phones house 4230mAh and 4000mAh batteries respectively. Meanwhile, the Galaxy M10 makes use of a relatively small 3400mAh battery. 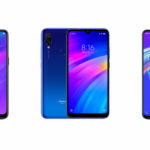 All in all, the Realme 3 offers the best bang for the buck proposition thanks to its superior chipset, gradient rear panel design, and marginally better battery capacity. The Asus Zenfone Max 2 isn’t a bad option either especially after the recent price drop. 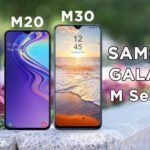 As for the Galaxy M10, it has quite a few shortcomings that can only be overlooked if you go for the 2GB RAM model. Its 3GB model, on the other hand, bears too many flaws for its price and cannot be recommended for someone looking for a good daily driver.